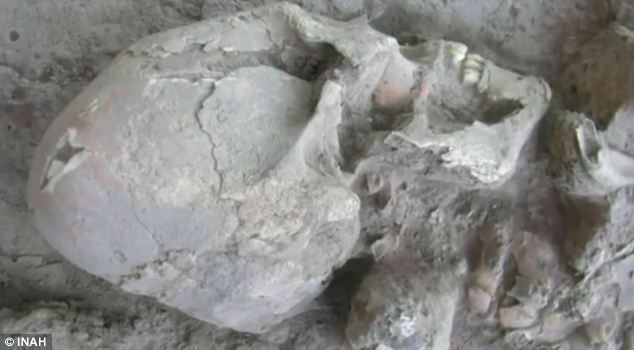 A recent find of skeletons near the small Mexican village of Onavas shows cranial deformed skulls, believed to be 1,000 years old. The burial ground consists of 25 individuals; 13 have intentional cranial deformation and five also have dental mutilation. At the first look, these look like to be skeletons of the aliens with elongated skulls. However scientists are of the view that these skulls have be deliberately been deformed mainly to differentiate different social classes. The find is believed to be the first in the region showing the practice of binding a skull to change its shape. 'Cranial deformation in Mesoamerican cultures was used to differentiate one social group from another and for ritual purposes,' said archaeologist Cristina Garcia Moreno, director of the research project.